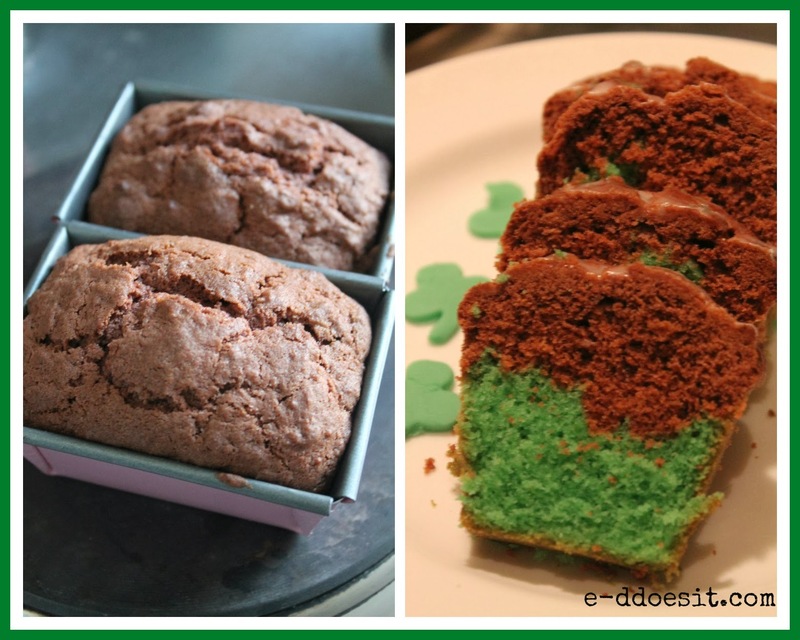 It's that time of year again where everyone worldwide celebrates being Irish (even if they're not all that Irish)! The whole weekend has just had a feel good feeling and from Friday afternoon everyone just seems to have a happy go lucky glow about them! Luckily enough in Ireland Paddy's weekend means an extra long weekend, a day off work and a legitimate excuse for having a few too many drinks on a Sunday evening....Happy Days! I'm spending the weekend away from my beloved husband (a few days apart is good for the heart!) and have headed to the country to visit my parents for the long weekend. This morning I was all inspired and excited to make something green and celebratory given the weekend that's in it, and rustled together a few mini chocolate and lime loaves in my native green teamed with a hint of chocolate. These went down well with my Dad this morning with an aul cup of tea.....It doesn't get much more Irish than that! 1. Preheat over to 170°C. Grease 4 small miniature loaf tins. are put into each bowl. 4. Add the green food colour, along with the zest and juice of half a lime to one bowl. 5. Add the cocoa powder to the second bowl and mix well. 6. Next fold in the flour and mix gently until all the ingredients are combined. 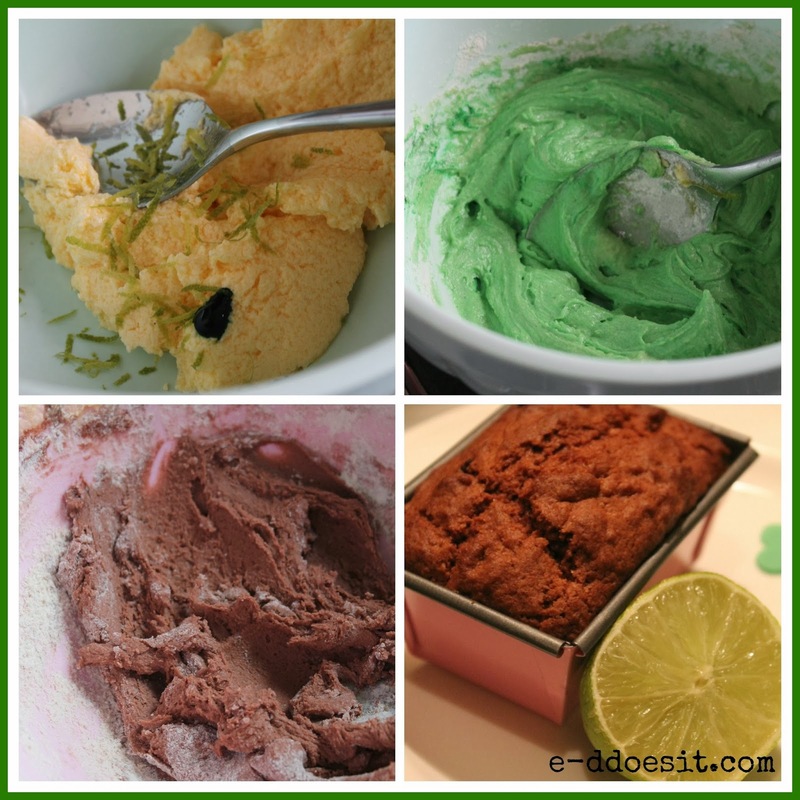 lightly layer the content on top of green lime mixture. to rest in the tin for 4-5 minutes before turning out onto a wire rack to cool completely. 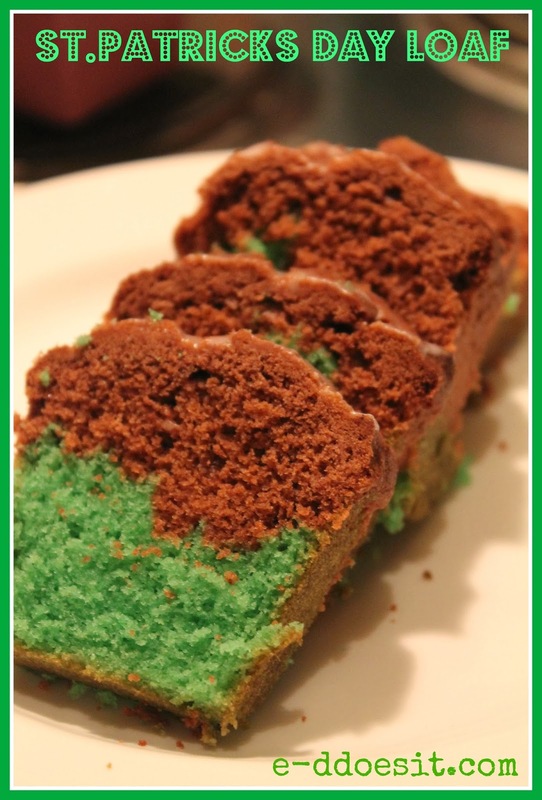 - I used Americolor green colouring to achieve the zingy green for the lime half of each loaf. kitchenware section and struggle to leave that shop without a large bag of goodies in tow!